The "visionary rigor" of the number through two languages, poetry and music, which intersect, collide, embrace and confront each other in a performance far from the classic concept of reading-concert. 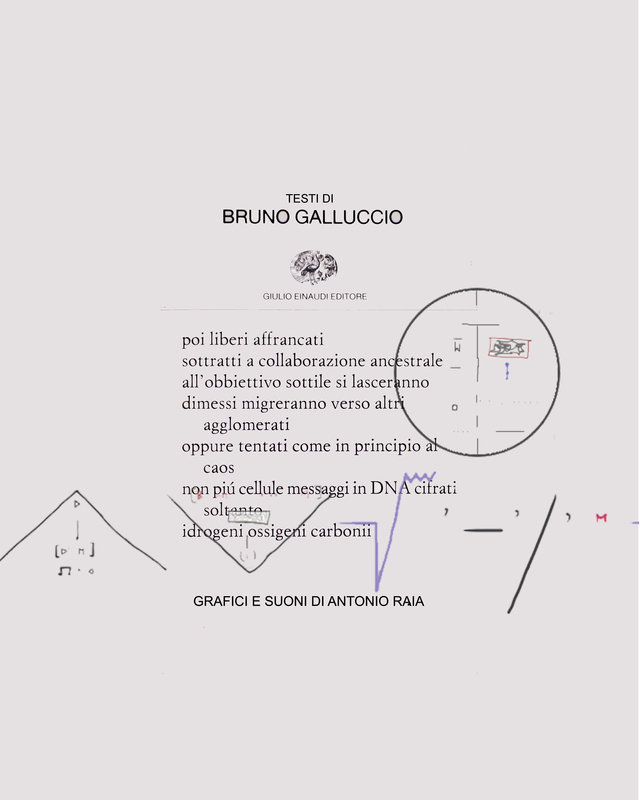 A physicist-poet, Bruno Galluccio, and a musician, Antonio Raia, participate with mathematics in the eyes of the world where the parameters of value, functionality and concatenation end up mixing, canceling out, omitting in turn to meet sometimes in an order of read metrics and sometimes in a vacuum. Bruno Galluccio was born in Naples where he still lives. He graduated in physics and worked in the field of telecommunications and space systems in European cooperation projects. He published his debut book "Verticali" with Einaudi in 2009 (Premio Pisa 2009), in 2015, again with Einaudi, he published "La misura della zero" (Farina Award, Laudomia Bonanni L'Aquila Award). He directed the foreign poetry series of the Heimat publishing house. For several years he was artistic director of the event "Una piazza per la poesia" and now he collaborates with the organization of "La poesia at the time of wine and roses" both in Naples.